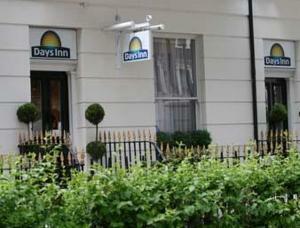 The Days Inn Hyde Park is the second of two low-cost hotels in London’s Paddington Waterside district. Much has changed over recent years in Merchant Square and the Basin area with the introduction of the vastly more expensive Hilton Hotel and the creation of several retail, leisure and health initiatives including a Starbucks and a Sainsburys at the new Paddington Central. The arrival of the high-speed Crossrail also brings new possibilities to Paddington. Not everything has changed though, as the Days Inn still offers convenient and affordable bed breakfast accommodation in the area whatever your needs are. Located between Hyde Park and the station this 59 bedroom three-star provides basic motel-style stays with a 24-hour reception desk and facilities that include a lounge/bar area and restaurant.